Accredit your automation skills and understand how to better leverage test automation. Automation skills are becoming a must! Don’t fall behind! Want to learn the methods and processes for automating tests? In this course, you will gain a solid understanding of test automation concepts and methods that are applicable across a number of development approaches, and test automation tools and platforms. Automation is a key skill for the modern tester. This certification is the first step in becoming a part of the growing test automation space. Experienced testers looking to develop expertise in test automation. Test Managers needing the skills to plan and lead automation projects. Test Automation professionals wanting to accredit their skills for recognition by employers, clients and peers. 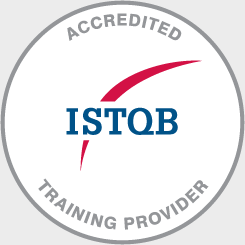 EXTRA COURSE INCLUSIONS: Our Pass Guarantee, Free Revision Sessions and Career Assistance Program (CAP) are just a few of the extra inclusions you receive when training with Planit – the leading ISTQB Accredited Training provider. Design and develop test automation solutions that meet the business needs. The Advanced Level Test Automation Engineer exam is comprised of 40 multiple choice questions, with a pass mark grade of 65% to be completed within 90 minutes. The examination is separate from the 3 day course and sat on a different day.